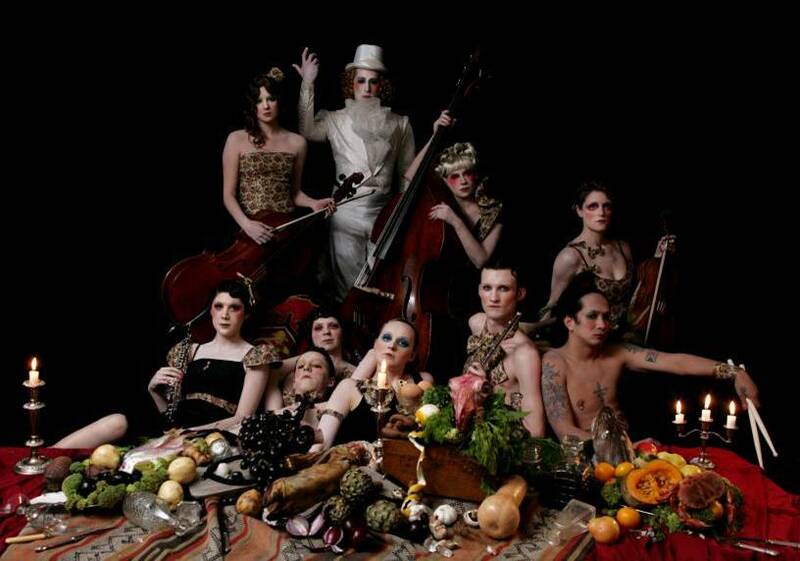 Since their creative union in 2006, Lavish enjoyed a series of groundbreaking collaborations with 'big, bad Baroque shock' pop orchestra, the Irrepressibles. 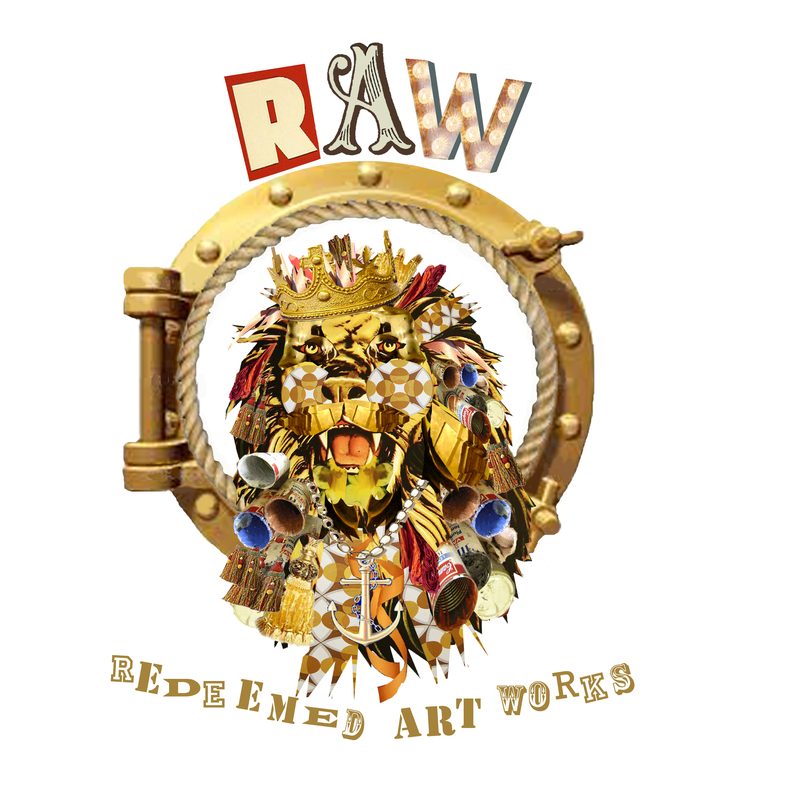 On each occasion, the artistic partnership between them ignited a whole host of awe-inspiring performances, displaying originality, imagination and talent across a wide range of avant-garde and eclectic platforms; all thoroughly drenched in the spirit of decadent fantasy and burlesque exuberance. 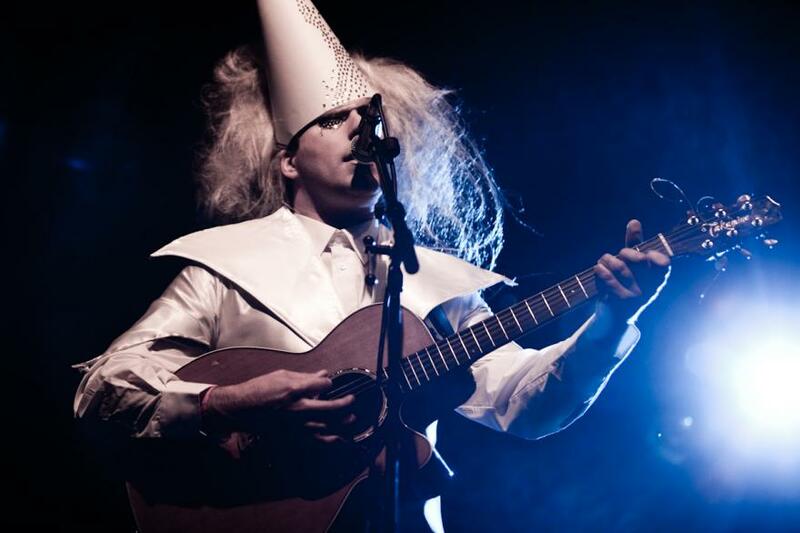 Conceived by lead singer/songwriter Jamie McDermott in 2002, The Irrepressibles carved out a name for themselves in both music- and art-world as a distinctive, genre-defying act; a heady mixture of classical orchestration, couture fashion and sonic experimentation. 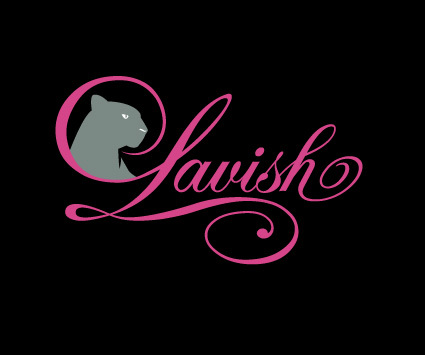 Aligned with the ethos of Lavish and at the heart of the Irrepressibles vision is their combined emphasis on both unique style and compelling content. 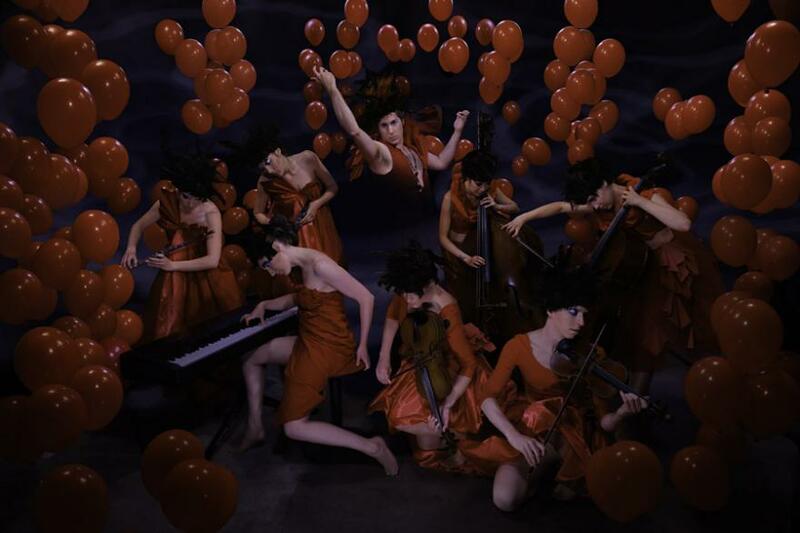 "an enchantingly theatrical pop extravaganza"
Their first collaboration, in 2006 at London's infamous Roundhouse Theatre, Lavish produced and designed a show featuring the Irrepressibles; a spectacular airborne performance which began with each member of the orchestra seen suspended 8 metres above the ground on individual electric winches. Viewed in panoramic glory, the orchestral players then literally glided around in a giant choreographed ring as they played, encircling the entire audience, whilst a glittering trapeze artist performed from the ring's centre, attached to an elaborate, oversize chandelier. Following this they developed further this spectacle of theatricality in the creation of the 'Human Music Box', which premiered at the V&A for a specially conceived evening dedicated to all things Baroque. Inspired by the illusionistic nature of the Baroque period, the 'Human Music Box' performance involved the orchestra moving like clockwork marionettes as they mechanically rotated on a circular platform around their lead singer in a hypnotising display of otherworldly splendour. 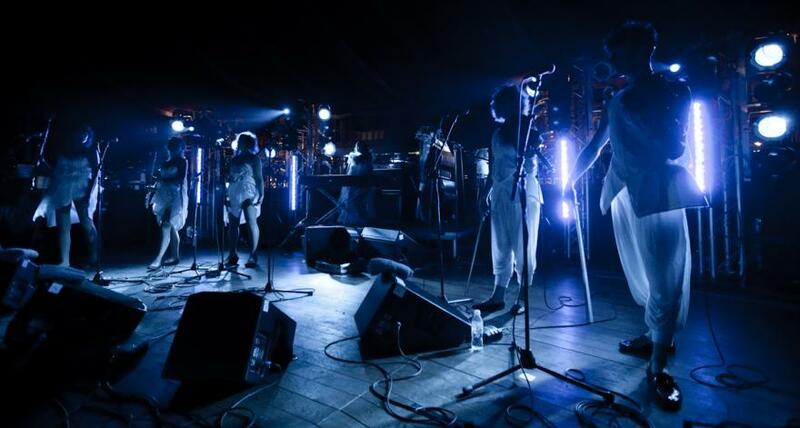 A little later in the year, Lavish bought the Human Music Box to Latitude Festival staged on its picturesque lake, much to the delight of the 25,000 people that saw the orchestra defy gravity and triumph once again with considerable panache. 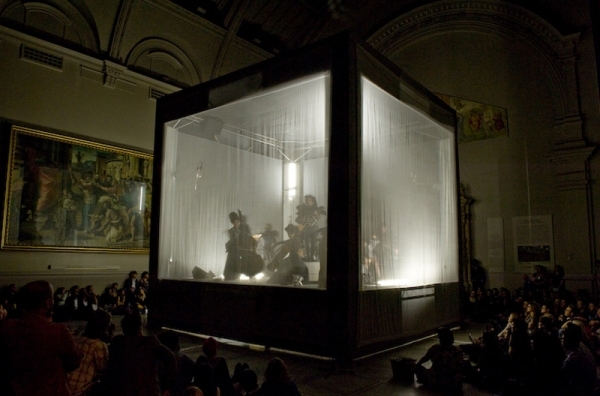 In 2011 a developed version of the Human Music Box produced by Lavish premiered at the Holland Festival and enjoyed record breaking sell out shows. During these years Lavish worked closely with the band's agent, Rita Zappador, the inspiration and driving force behind a veritable collection of cult artists, including the universally successful Anthony and The Johnsons, and are now preparing for The Irrepressibles 2010 tour and forthcoming, greatly anticipated debut release. From the Circus to the Sea, a 7 track EP/DVD package released by The Irrepressibles in collaboration with 'backwards motion' filmmaker and IMZ best onscreen choreography award winner, Shelly Love, is available now through Rough Trade.